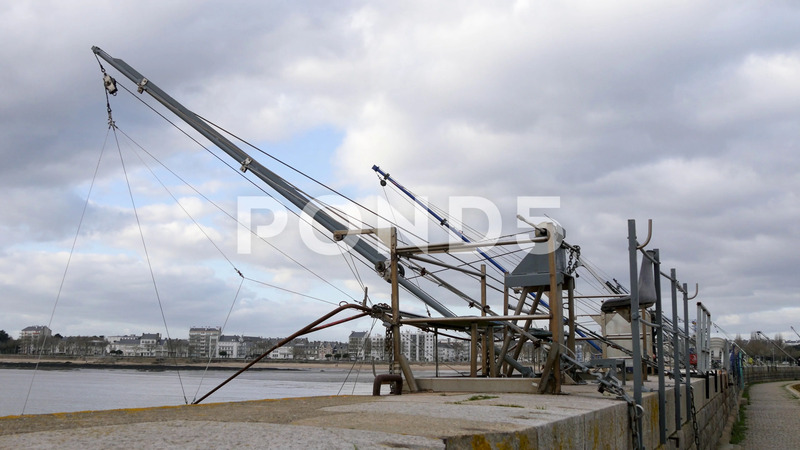 Description: Jetty in the town of Saint-Nazaire, in the west of France. Cloudy sky, filmed in winter. It is a city located in the Loire Atlantique region, in the estuary of the Loire River.